If you want to learn about Colombian culture, Bogotá is the place to go. 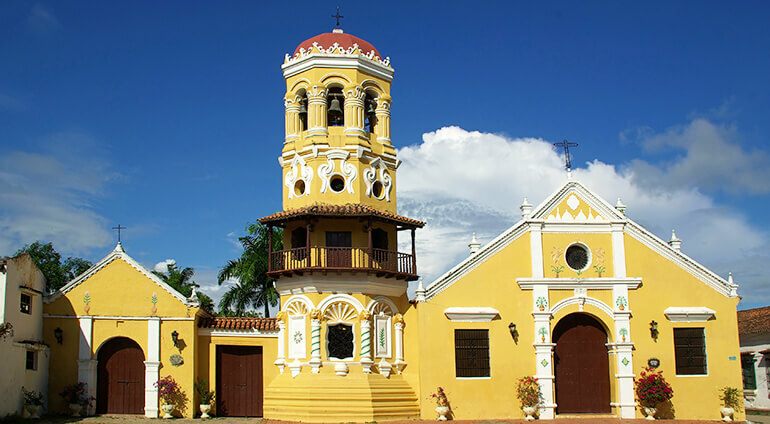 The city holds centuries of Colombian history within its districts. Bogotá is a multicultural city with a diverse population, which makes it all the more interesting. In 2012 Bogotá became a member of the Network of Creative cities in the music category. Here you will experience all sorts of music from hip-hop and rock to classical and jazz. At night the city comes alive with musical beats. Being a very cultural city, Bogotá offers dance, theatre, art and of course, lots of museums. Bogotá has also become known for its particularly lively nightlife. It’s got plenty of clubs and bars, as well as more cultural venues for a more relaxed evening. When it comes to shopping, there are plenty of options including markets such as San Alejo Flea Market, where you can pick up anything under the sun, and shopping centres with high street and boutique stores.